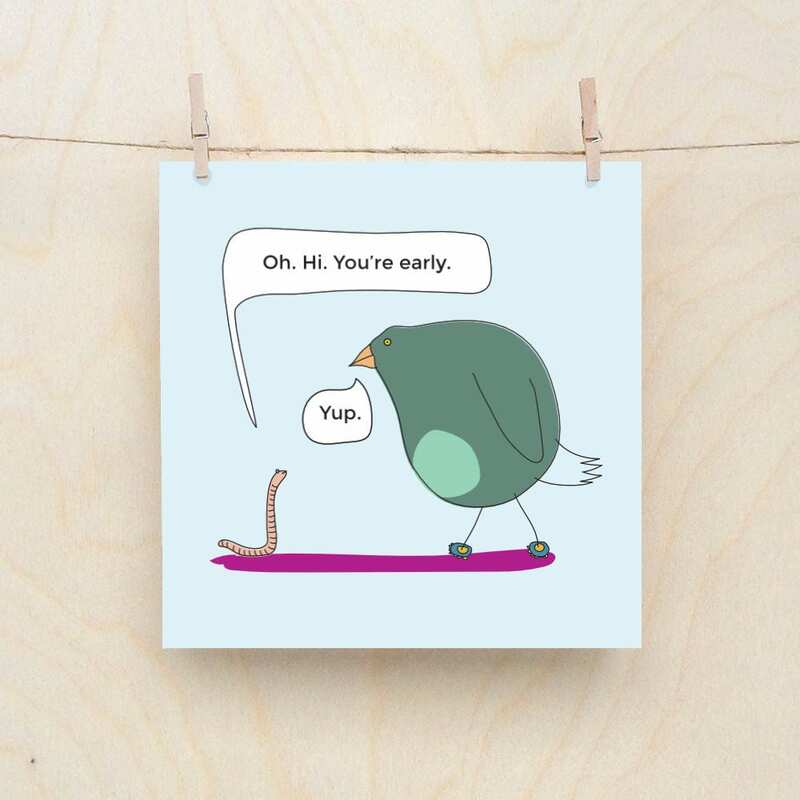 This funny card plays on the unconventional relationship between a bird and a worm. It's a lot like most traditional relationships, one of you flies the other borrows into the ground, one of you sings the other grows another head when it is split in two by a garden spade. However much we love our partners there will always be a moment when we think, "Oh my god, They are going to bloody eat me".